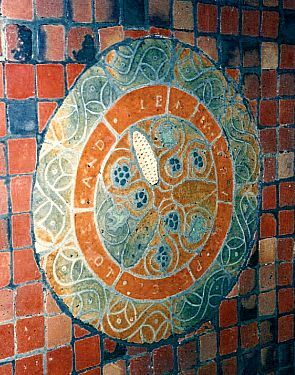 A shield with three balls was the insignia of William Penn's family. The shield is under a tree and surrounded by grapevines. The text reads: "William Penn Proprietor and Governor Bucks." The center of this seal contains Penn's family insignia, a shield with three balls. 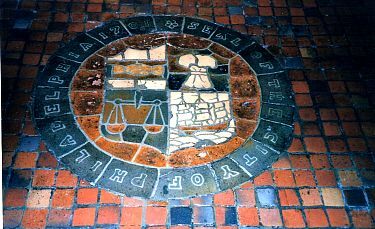 Surrounding the shield are scrolls containing the words "Mercy" and "Justice." 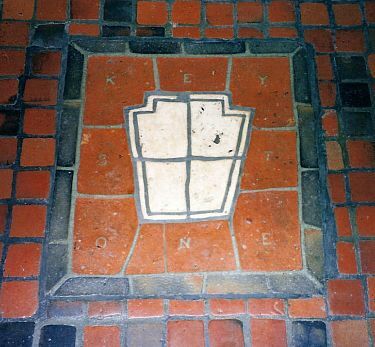 Around the edge of the seal are the words "William Penn Proprietor and Governor of Pennsylvania." around the edge. The outer rim is a circle of flowers. 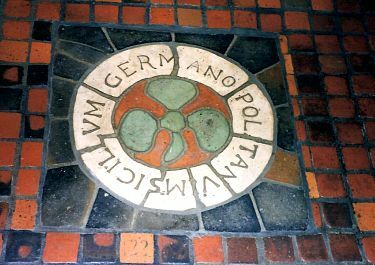 The words "Sigillum Germano Politanum" mean "Seal of the German Commonwealth." The seal contains a three-leafed clover. and a sailing ship. Around the edge of the seal are the words "Seal of the City of Philadelphia 1701.